In 2012 six-year-old Emily Whitehead was diagnosed with acute lymphoblastic leukaemia and, since she did not respond to standard treatment, was near death. She was the first child to be enrolled in a clinical trial at the Children’s Hospital of Philadelphia where patients received a novel treatment that genetically altered their own blood cells. 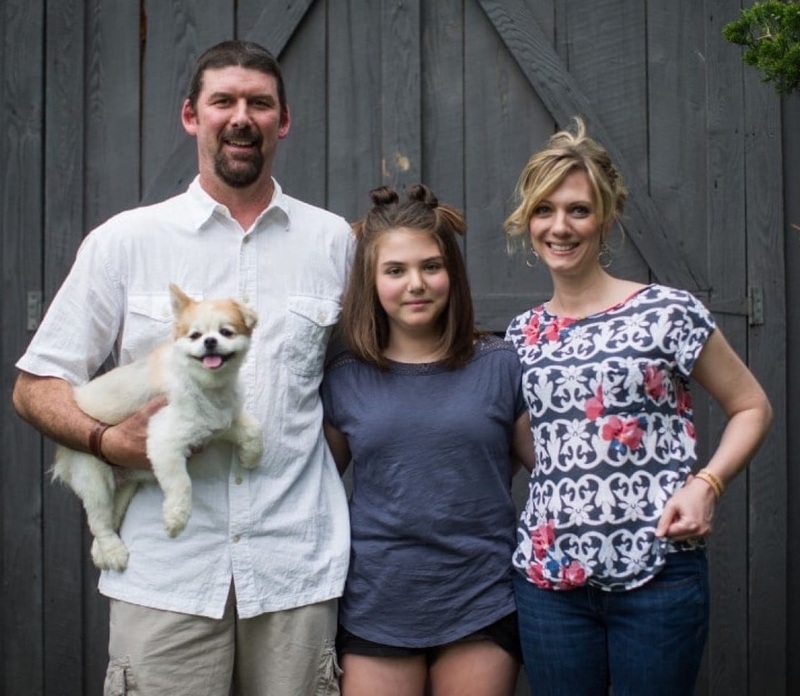 Emily was among the 83% of patients for whom the treatment was successful and now aged 12 has been in remission for more than five years (© The Washington Post). 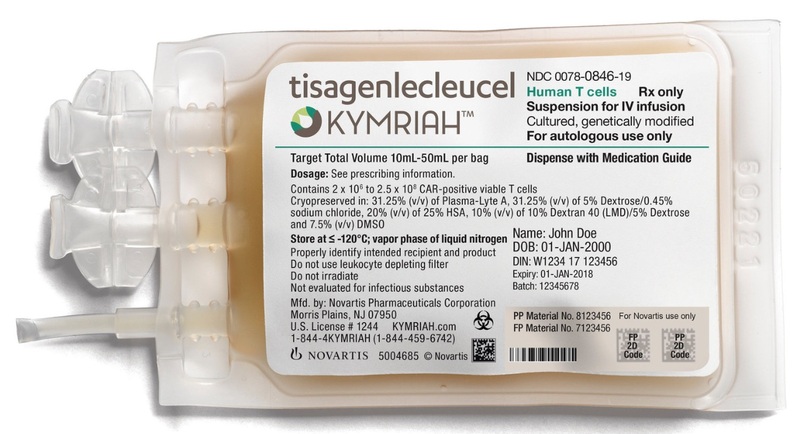 As part of the treatment, white blood cells called T cells are removed from the patient, frozen, and shipped to Novartis in New Jersey where they are genetically engineered and multiplied before being frozen again and shipped back to the medical centre. The customized drug is then transfused into the patient using a standard drip, with the whole process taking about three weeks. 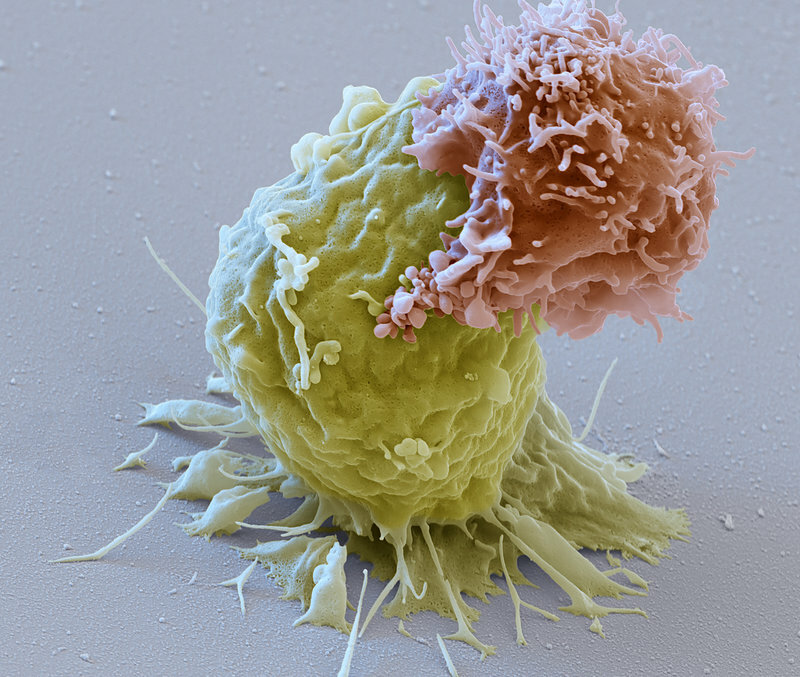 The image above left (© Eye of Science) shows a pink CAR-T cell attacking a green leukaemia cell (CAR stands for chimeric antigen receptor). There are drawbacks to the treatment, however: the drug can cause life-threatening side effects, including high fevers and a precipitous drop in blood pressure. The FDA has therefore mandated that doctors must be trained to administer Kymriah, and they must stock another drug called tocilizumab to treat the complications. Novartis has announced that the one-time treatment will cost $475,000 for patients who respond. Those who don’t respond within a month will not be charged, while the company has said it is taking steps to ensure that everyone who needs the drug will be able to afford it. David Mitchell, president of Patients for Affordable Drugs, says the pricing is excessive, especially since American taxpayers – via the NIH – funded the research at the University of Pennsylvania where Kymriah was developed. Despite the controversy, Thomas and Kari Whitehead are extremely grateful for the “living drug” that saved their daughter’s life. While the new treatment is a huge step forward, one also has to look forward to “governmental commissions of enquiry” into the pricing of modern wonder drugs. Or maybe laws which prohibit the announcement of a cost for a new drug (or whatever?) without a full disclosure of the costing structure. This was on the news recently.Quite remarkable. Who is able to afford these exorbitant costs? If we find Breast cancer less than 1cm the costs we are saving worldwide would more than cover the costs of treating the rarer cases of childhood cancers! We could have it all!